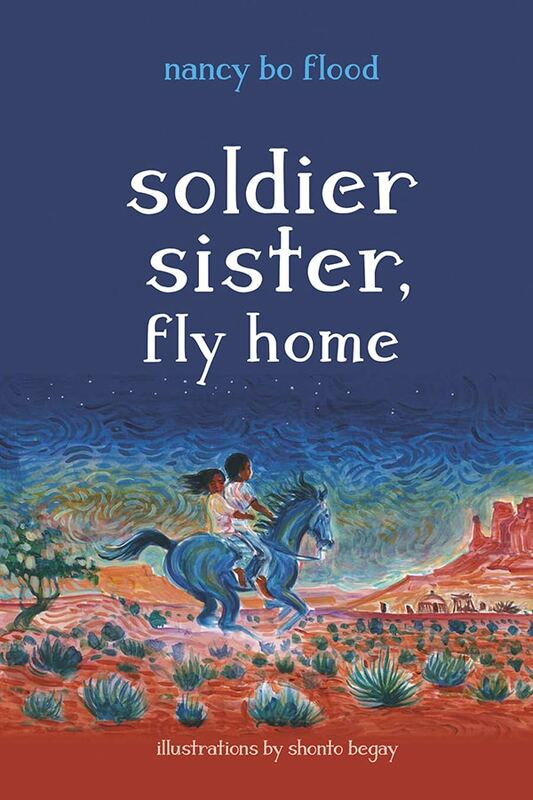 Soldier Sister, Fly Home, is about walking the bridge between two worlds, Navajo and Anglo. The two sisters, Tess and Gaby, are bi-racial. They walk this bridge daily, between different cultures and generations. My hope is that readers will see through Tess and Gaby’s eyes – see the stark beauty of the high desert and deep canyons, feel the anger, fear, and confusion when one sister is deployed, and face the same hard questions asked by teens everywhere – who do I want to be? What can I control and what must I accept? I agree with Tim Tingle that even if one does not “know” another culture, sharing one’s perspective is important and valid. The most important research is the experience of participating. Someone once said you don’t begin to know a culture until you hold their babies. I agree. I could not have written Soldier Sister if I had not lived on the Navajo Nation, comforted fussy babies, helped grind corn for a girl’s coming-of-age ceremony, sat in rodeo stands as mothers watched their youngsters race around barrels or cling to the backs of bucking bulls. And then as mothers we talked. I sat with students after class as they worried about discrimination, being bullied, about frustrations with parents and grandparents. I listened. Another part of knowing a culture is sharing their grieving and honoring their losses. I was teaching in Tuba City for the Navajo College when the war in Iraq began. Many of my students were enlisting. The entire town became aware that Lori Piestewa was missing in action. Prayers were said; candles were lit, “to show Lori the way home.” But Lori did not survive. 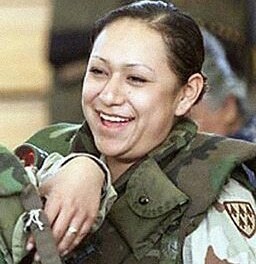 Lori Piestewa became the first Native American woman to die in combat on foreign soil. The community held a memorial at the high school where Lori had recently graduated. Everyone was invited. Hundreds attended. 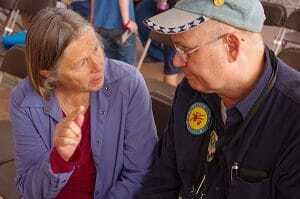 I sat with Navajo, Hopi, Mexican-American, and Anglo, people who often don’t come together. People put aside differences, crossed that bridge, and gathered together to honor the life and death of this young woman. Less than 1% of the books published for children are about contemporary American Indians. Books invite readers to take a look and learn about American Indians today. They are not extinct nor are they the stereotypes presented in many movies and media. They play baseball, do homework, fight with their sisters, and worry about friendships. That is why I wrote Soldier Sister, Fly Home. Every child should see themselves – their stories, their landscape, their people—in a book. I also write for readers who have never met a Native American, or stood in the depths of a silent canyon, or had a sister or brother deployed. Stories invite readers to leave the familiarity of their own shore, stand in the middle of that bridge, and see with new eyes. See new worlds and see themselves.